It is most popular in Nigeria. The estimated 2,948 daily visitors, each view 5.60 pages on average. ansarudeenlagosbranch... Welcome to Ansar-ud-deen Society of Nigeria !!! 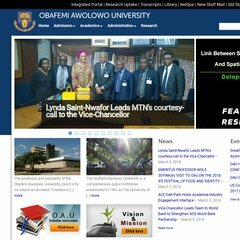 It has 4 nameservers, including olopa.oauife.edu.ng, mainhub.netproj.ictp.trieste.it, and dns.ictp.trieste.it. Its IP Number is 62.173.43.72. The server is hosted by Ipnx Nigeria Limited Lagos. Website load time is 2162 milliseconds, slower than 73% of other measured websites.